Because I know first hand the ingenuity and depth of knowledge of Nuts & Volts readers, I’d like to present the Edison cell to you in two ways. First, I’d like to briefly cover the historical construction of the cell. I think this will spark some ideas and even possible improvements to the cell. Then, I’d like to present the details of my own homemade cell experiments from the last couple years so you can construct one, as well. Edison claimed that he would not begin actual manufacturing of the cells unless he achieved five times the capacity of the competing (lead acid) cell. 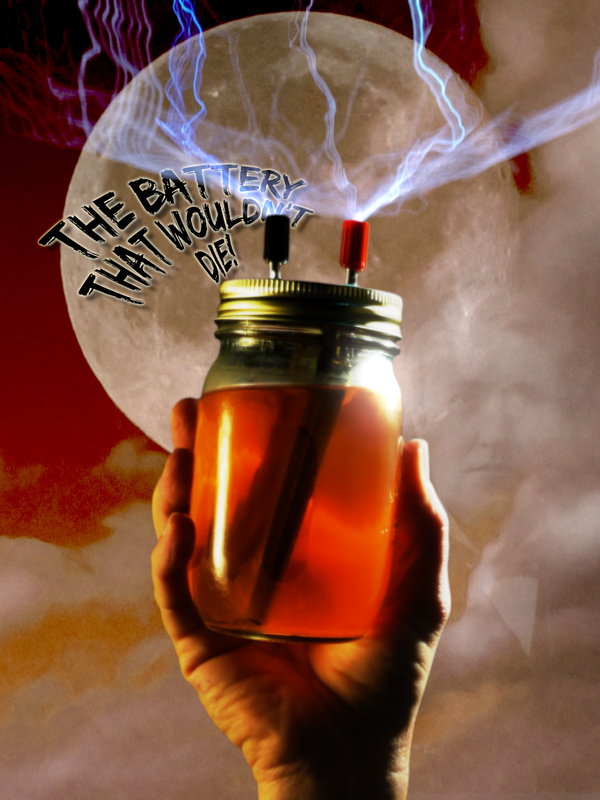 At one point, he claimed to have reached 15 times the energy density of lead acid in a series of remarkable experiments. Edison had found the cell’s capacity increased directly with the surface area of the plates. It’s hard not to wonder with today’s astounding capabilities in miniaturization (and nano machines) what might be possible for plate creation with such robust cells. 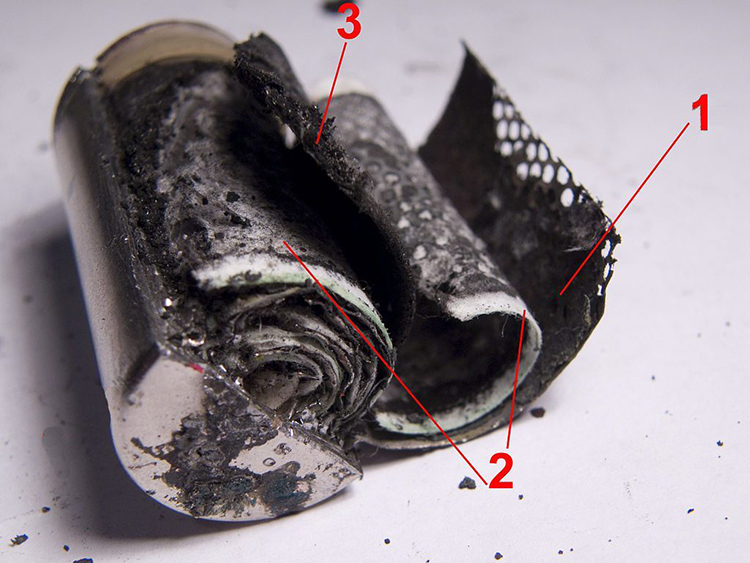 A cutaway of an actual Edison battery is shown in Figure 1. Edison’s battery had alternating plates with metal “packets” which contained nickel II hydroxide (Ni (OH)2) for the positive plate, and the iron oxide (Fe3 O4) for the negative plate. 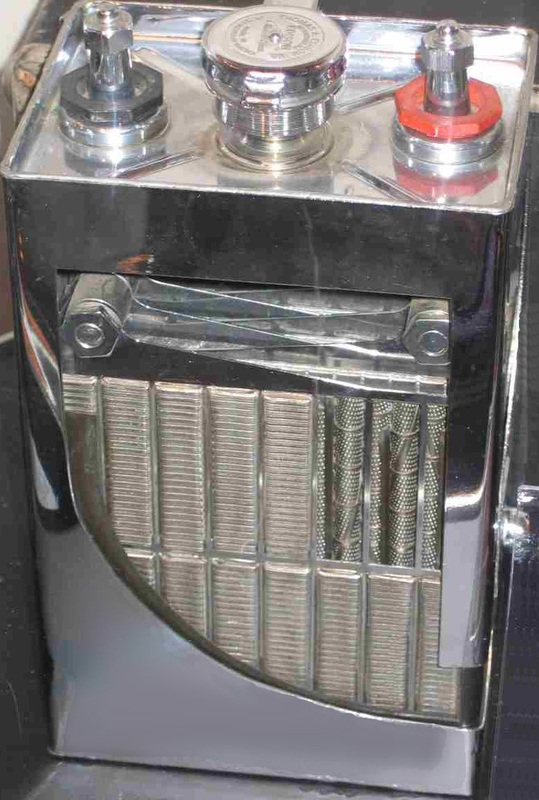 In later designs, Edison used perforated tubes for his anode (as seen in this particular cell), instead of packets to hold nickel oxide for the positive plate. 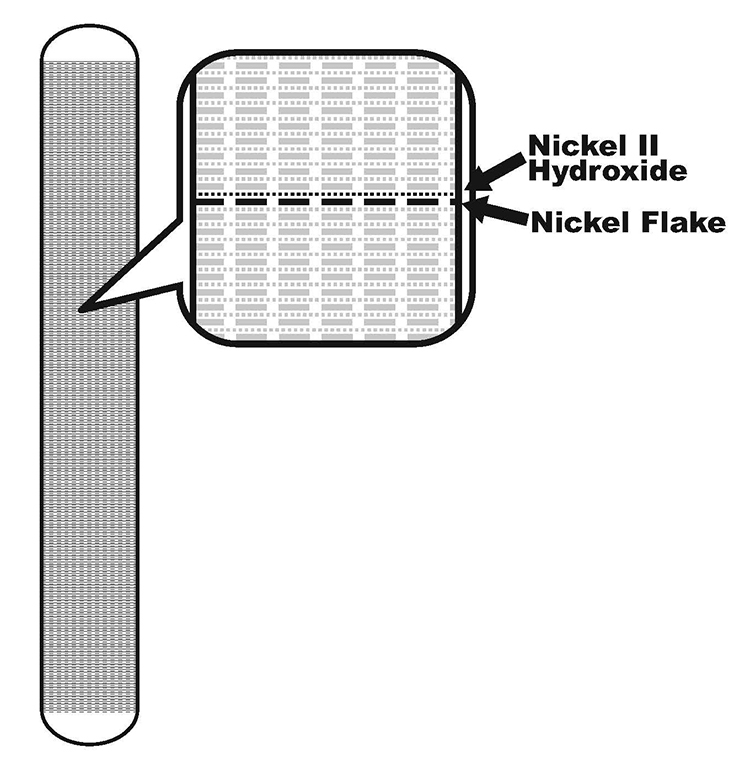 Nickel II hydroxide is a very poor conductor, so in order to make electrical contact with it Edison used 32 layers per centimeter of alternating nickel flake and nickel II hydroxide inside the nickel tubes (as shown in Figure 2). So, the positive electrode works by allowing electrolyte in through the perforations in the nickel tube when submerged, and the nickel tubing and nickel flake make contact with the nickel II hydroxide to pass the charges back and forth. Each 10 cm of 6.3 mm (1/4 in) tubing will produce a full 1.25 Ah capacity! Forming the negative electrode requires only filling tubes (or nickel plated metal packets) with the pure iron oxide (Fe3 O4) under pressure. (This essentially forms little iron oxide briquettes held inside the packets.) 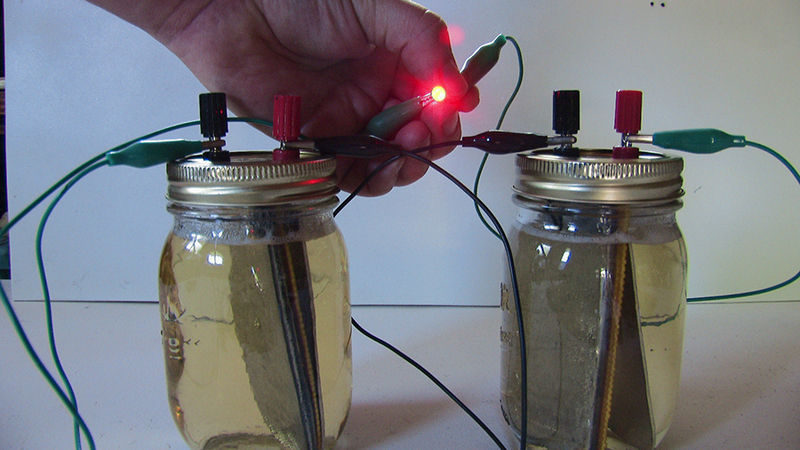 Gassing in the cell increases when the negative electrode is charged. So, the negative electrode is typically 30% larger than the positive electrode. This serves to minimize gassing inside the cell because the cell reaches full charge before the negative electrode reaches capacity. eBay is an excellent source for potassium hydroxide because it’s currently used in making homemade bio diesel and soap. Important note: I have successfully used nickel III oxide instead of nickel II hydroxide for my positive electrode with excellent results. It’s cheaper, seems to work better, and is much easier to find. 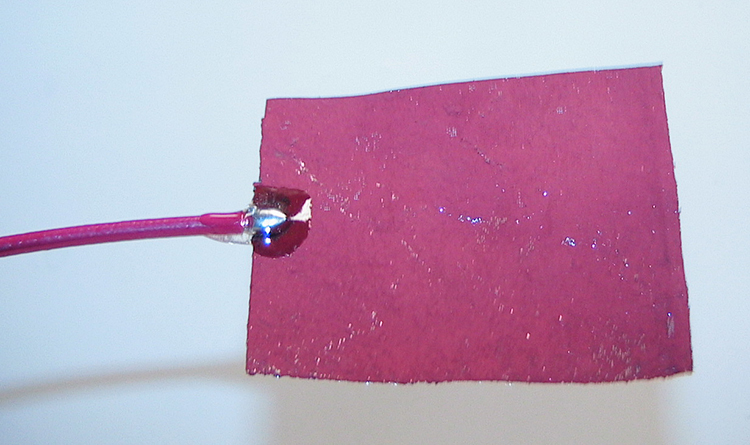 A simple idea I had for increasing capacity in our homebrewed cell was to literally use a conductive glue to attach the oxides to the outside of the electrodes. This gives a very high surface area “sandpaper” like finish to the electrodes, which is exactly what we want. Of course, your plates must not touch each other in the cell, so you may need to use a permeable non-conductive separator. This is actually a big topic, but for an experimental cell, it’s possible to use layers of fiberglass screen (available at any hardware store). I’m certain that other methods of making contact with the oxides in solution will occur to you, so feel free to experiment! Gloves and goggles should always be used, and proper ventilation kept in mind. Raw potassium hydroxide powder should be handled carefully. It is caustic enough that it will cause burns if left in contact with your skin over a period of time. So, take reasonable care. 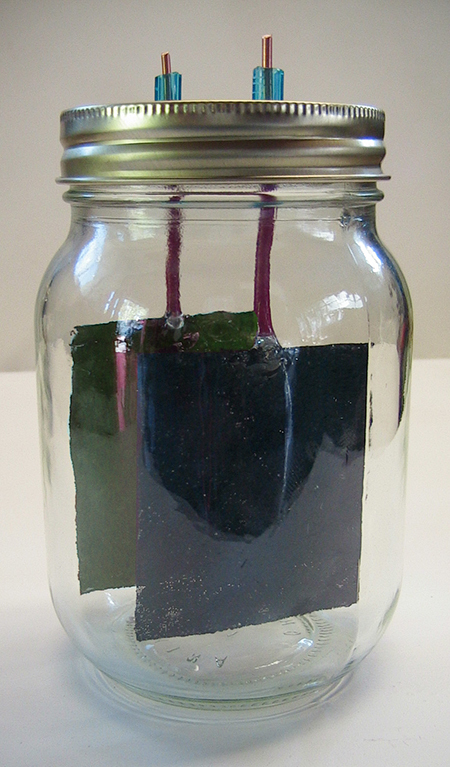 Each of your Edison cells will produce 1.2 volts. 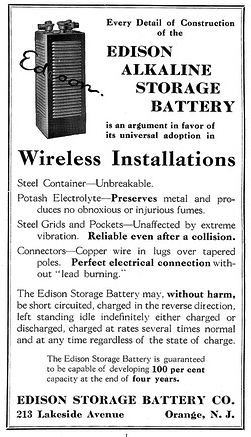 Edison himself recommended charging these cells initially at 1.7 volts (for 48 hours) as a forming charge, and that daily chargings should be made at 1.45 volts to reduce gassing. Your cell will improve each time you charge/discharge it. He also recommended only discharging your cell to .9 volts while your plates are still forming. In trying to think of a fun and useful way to test such a long lived cell, I struck upon the idea of a “20 year garden light” as a project. 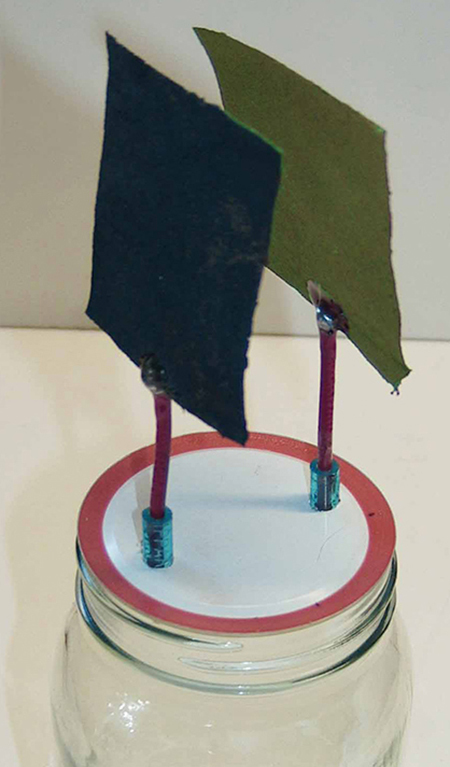 It occurred to me that using these homemade cells in place of the usual NiCad or NiMH batteries in a solar powered garden light (which usually only last a couple years at best), I might wind up with a light whose battery outlived its solar panel and other components. A quick test showed that two of the described hobby cells could power a low power LED overnight, so I set up a simple solar night light that has been working for about a year now. Figure 7 shows a typical “on after dark” circuit. 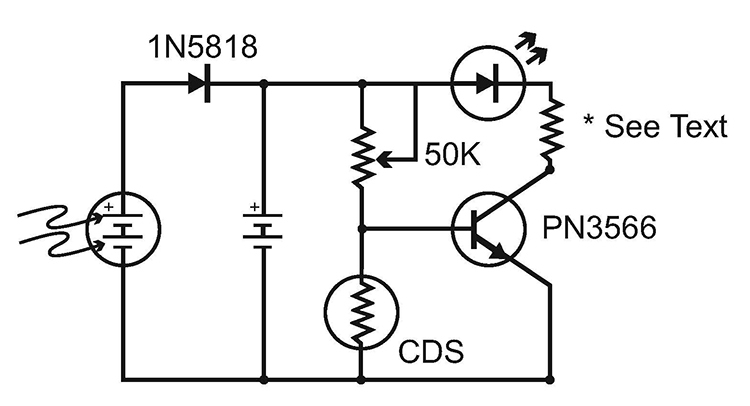 The resistor at the transistor’s collector should be calculated based on your LEDs operating volatage and the number of cells you choose to use in the circuit. 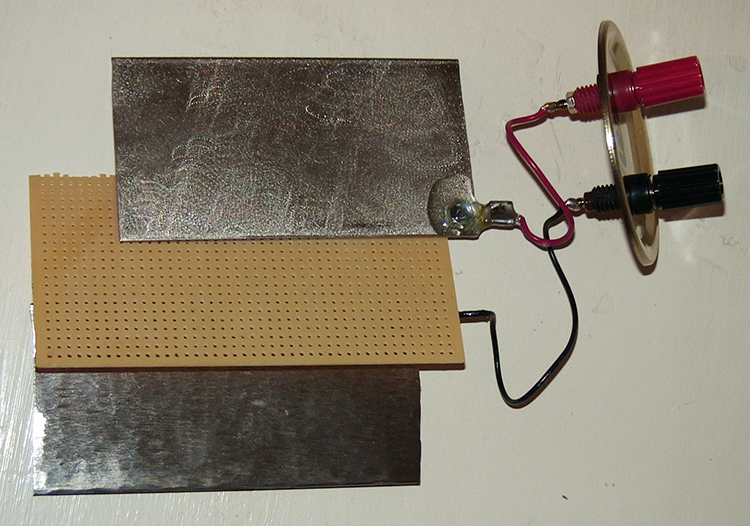 The 50K pot will determine the circuit’s sensitivity to sunlight. Though the homebrewed cell outlined here has a very limited capacity, I hope you’ll find its fundamentals as truly fascinating as I have. I believe all the principles necessary are here for creating larger cells and following in Edison’s considerable footsteps in other designs. Surprisingly, my first introduction to Edison cells was at a local energy fair more than 15 years ago. A professor from a junior college exhibited a Volkswagon converted to run on a large set of antique Edison cells. The cells in his car — many more than 50 years old — had been operating his Volkswagen with off-the-shelf motor and other components throughout the school year. 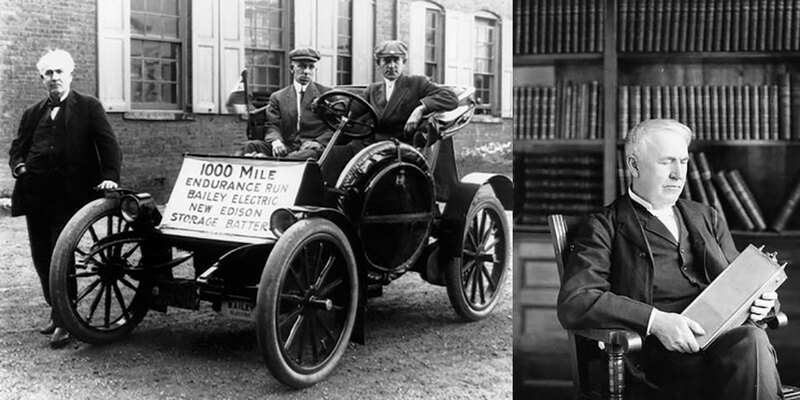 He claimed a range of nearly 100 miles, and a top speed of 60 MPH … besting many of the new breed of electric cars today! I’ll make additional information (including a video showing the construction of the simple cell and nickel plating) available to Nuts & Volts readers at www.noonco.com/edison. I’d like to thank Ellsworth Adhesives for donating the conductive epoxy, and Dr. Vijayamohanan K. Pillai for his encouragement and advice in sorting out the fact and fiction on these remarkable cells. For top (laboratory) quality chemicals, I'd recommend suppliers like United Nuclear, Spectrum, and always a google search!